Since the Frontex Border Agency's establishment in 2004, its activities have foregrounded the complexity and difficulty of protecting the human rights of those seeking access to the European Union. In this connection, protection from refoulement should be paramount in the Agency's work. By navigating through the intricacies of Frontex's structure and working methods, this book answers abiding questions: which circumstances would trigger European Union responsibility if violations were to occur in Frontex's joint operations? What is the legal standing of the principle of non-refoulement in relation to Frontex's activities? Can Frontex be entrusted with an exclusive search and rescue mandate? 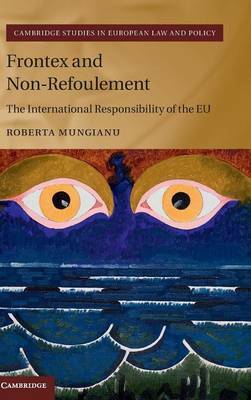 This book offers a theoretical and practical insight into the legislative intricacies of Frontex's work, examining the responsibility of the EU, and scrutinising the interaction of international law and EU law with a focus on the principle of non-refoulement.